Over the past number of years most likely due to previously being a bodybuilder/powerlifter I had the tendency of wanting to muscle the ball. Swing plane was +30 and I am working on that. Through a lesson I was told I was casting the ball and losing lag. Maybe because of that, a once 100mph driver speed is now around 89mph. 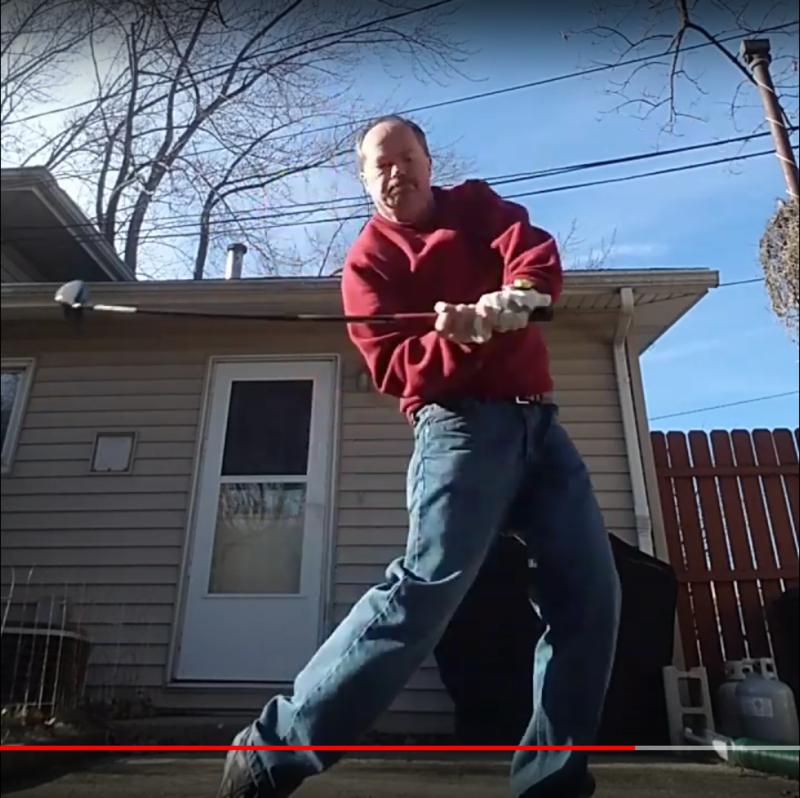 Now I understand the importance of lag but what the heck are my hands doing way up there when the clubhead is way back there? 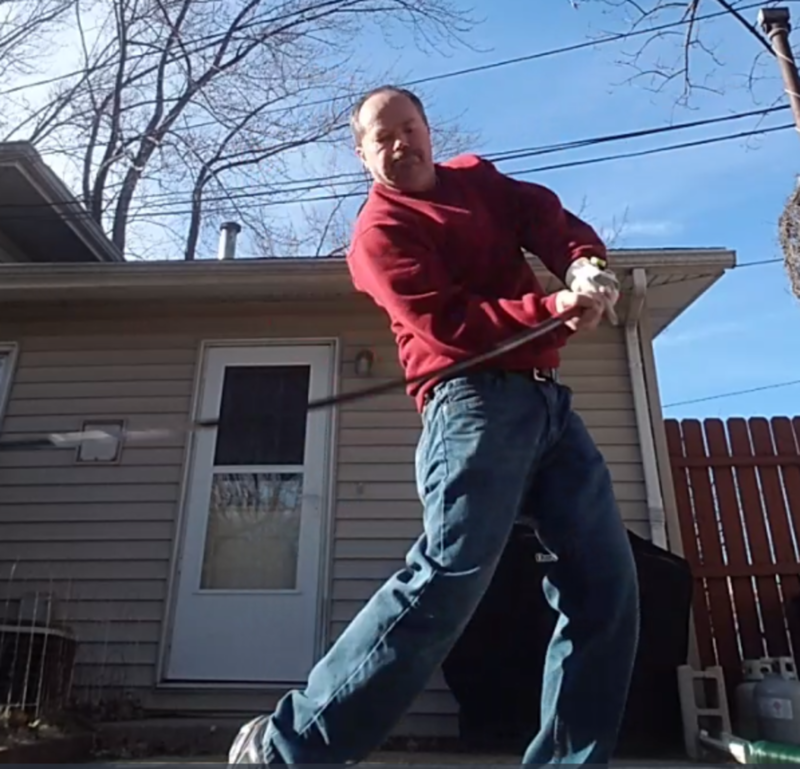 Just swinging above concrete here without a ball which may be why I am pulling up so I don't trash my driver. Camera angle isn't great, so that limits a bit of what can be analyzed. I'm no pro, but this is what I see. I'd note some lateral shift to your right leg coming back followed by a pretty large lateral shift to the lead leg in transition. The club is very narrow / lagged between position 5 and 6. Not sure about the lag comment. If that's something you didn't have previously and have been working on, I'd say you definitely have made changes there. I'd caution that maybe those aren't all good changes though. First it appears to me that your clubface is very open at p. 6. That combined with the lateral shift would require some compensations to square the face by the time it reaches impact. Getting that much lag usually requires you cup your left wrist and get the club moving on a very steep / vertical downswing plane. You aren't hitting a ball and we don't have the down the line view, so maybe this is distorted. I think lag can be a pretty misleading objective. If you're just looking face on you have to remember that that angle between the forearm and shaft exists in a 3 dimensional space. Cocking the wrists can increase that angle, but so can laying the shaft down on a shallower plane. So I'd be more focused on other fundamentals first.